A fruitful jelly with a slight scrub for those who like it just a bit rough; Just to Clarify is packed with an exotic fusion of fresh juices, like papaya, orange and grapefruit to refresh and brighten the skin. When using your hands to gently wash the mask away, you’ll start to feel the bamboo stem extract polishing the surface of your skin leaving it feeling super rejuvenated and clean. Let’s get things cleared up. Grapefruit and bergamot oils lift the mood. Fresh orange juice perks you up. 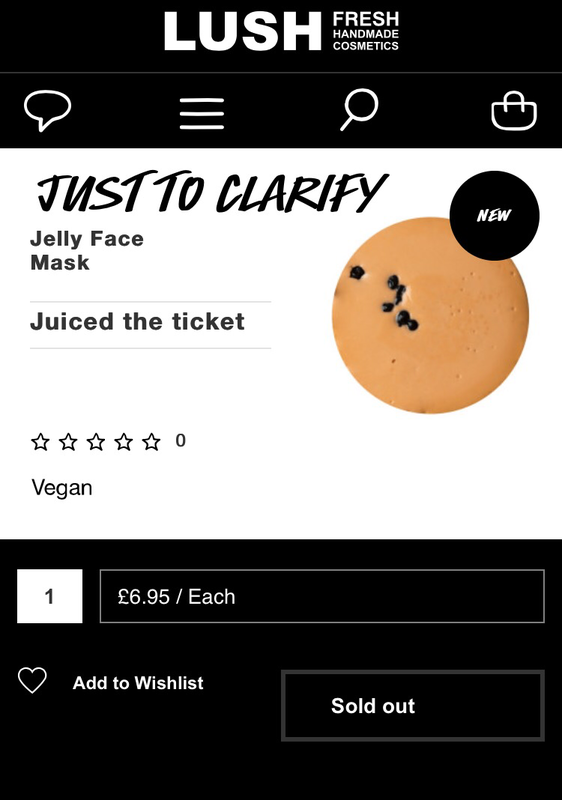 Posted on July 21, 2017 by Lushalot	• This entry was posted in Fresh Facemasks and tagged 2017, jelly mask, just to clarify, new face masks. Bookmark the permalink.